Drake and Jennifer Lopez are over -- but maybe not for good! According to an Us Weekly source, the relationship "died down a bit" after two months of regular dates and spending a lot of time together. Another insider told the site that they're only done "for now," though, noting that the A-list couple could rekindle their romance after Drake's European tour. The couple started seeing each other back in December, and the rapper attended a couple of Lopez's concerts in Las Vegas. E! News reports that they "have taken some time apart, not because they don't want to be with each other, just because their scheduled started getting insane." Lopez started up her Las Vegas residency again this week and also stars on "Shades of Blue," while Drake -- as mentioned above -- is still busy touring in support of his album, Views. 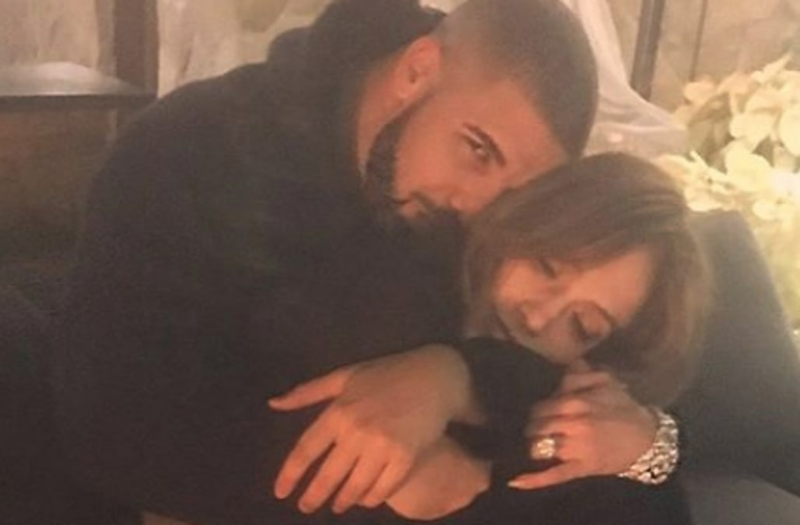 "J.Lo and Drake are still talking, so people should know that they are not in any means angry or that some incident happened," the E! News source continued. "It mainly had to do with timing." Which now makes sense, given Lopez's cryptic Instagram post from this past weekend that said, "Timing is everything. If it's meant to happen, it will, and for the right reasons." "They have just cooled things off a bit, and it's not as fast as it was in the beginning," the source finished. "They very well may go to dinner tomorrow or in a month. They are in each others' lives, just doing their own thing now." Lopez shares twins Max and Emme, 8, with ex-husband Marc Anthony and had dated dancer Casper Smart for five years, while Drake has been linked to stars like Rihanna, Serena Williams and Hailey Baldwin. Rosie Huntington-Whiteley announces she's pregnant, Jason Statham to be a dad: See her baby bump! Amal Clooney is pregnant with twins, George Clooney to become a dad in June!